Mobile apps have quickly become the ultimate way to help simplify your life. From tracking your fitness to managing your finances, apps are here to help make your life more productive and organized. Why not take advantage of the Salon D’Artiste mobile app to help you with your salon needs? Book. No matter where you are or what you’re doing, you can quickly open our app and schedule your own salon appointments. Remembering to call in during business hours will quickly become a thing of the past- with our app you can put yourself on our schedule whenever it’s convenient for you. Reminders. We all know how easy it is to forget the little details in life. 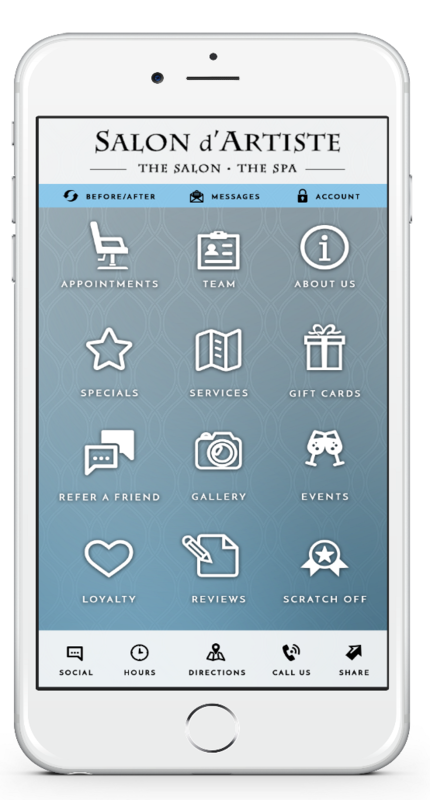 With our app, you can receive reminders so you’ll never miss your salon appointments. Shop. We can even simplify your gift giving! Use the app to purchase gift cards to send directly to the recipient! Browse. In addition to all of the above, you can even learn about our team of stylists, read client reviews, and even keep up with our blog! The Salon D’Artiste app is truly a time-saving tool for all your salon and beauty needs. If you haven’t taken advantage of our mobile app, why not try it out today? Download it for free from iTunes, Amazon, or Google Play, and if you have any questions, give us a call at 610.687.2020.